The Washburn Forrest Lee Bender brings country licks to the acoustic world. With almost no aesthetic alterations to the guitar at all, players can pick and bend their riffs in style. 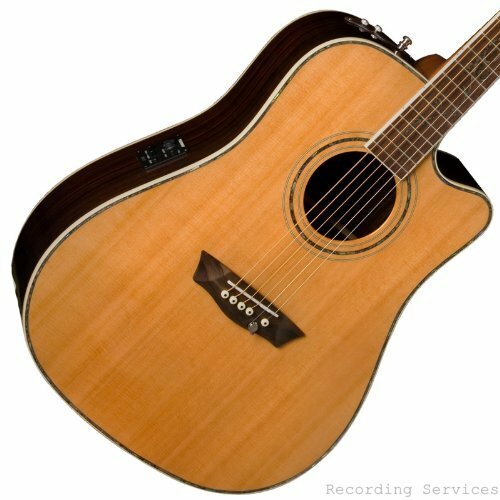 The Acoustic Bender is a dreadnought body shape with rosewood back and sides, and includes a Fishman® pickup. The top is solid cedar, and includes an abalone rosette, purfling and a back strip, making the body of this guitar quite striking. The neck is made from mahogany and has a rosewood fingerboard.. The nut and saddle are both made of Graphtech NuBone®, and the bridge is made from mahogany. The bender itself is mostly inside the guitar. The only signs of it being there are a slot for the strap holder to move and the pin which takes the place of the B-string pin. The mechanism allows the player to bend the B-string up a full step with a simple push down on the neck. This allows the player to simulate pedal steel type bends. 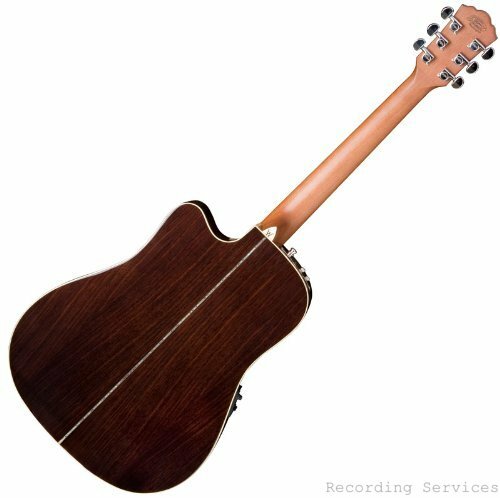 Benders have been available on electric guitars since 1968, but the Washburn Forrest Lee Bender marks the first time this type of device is available in a full production acoustic guitar. Rosewood fingerboard and bridge with NuBone® nut and saddle.